Attention Bay Village! It is that time of year so you are probably looking for a professional lawn care company and we know that is difficult, so we are here to help. The best lawn care companies in Bay Village are listed below in this article. However, I cannot tell you which of the companies in Bay Village is the best for you! Take some time to research, get some estimates, and find out which company you think will make your yard look the best in the neighborhood this year. Remember, hiring a lawn care company is a partnership. Choose the company that you want to work with for the rest of the year. Bay Lawn Care - Bay Lawn Care is a local company run by 3 young boys Nic, Zach, and Matt. They are a 3 man crew that offer lawn care maintenance like lawn mowing, edging, weeding, and and general clean up. During the winter, Bay Lawn Care has snow removal service including snow shoveling and salting of your property. They have been in business for three years now, and give free estimates and quotes on lawn care. Bay Lawn Care deal with the owners directly, eliminating extra problems and issues that other companies face. They have built their company around the customers, as there would be no business if there we no customers. Richard’s Landscaping and Handyman Services - Richard’s landscaping and handyman services has been serving Bay Village for 25 years. Licensed by the Landscape Contractors Association, they are able to provide professional services with trained technicians. They say no job is too big or small for Richard’s, so their services are customizable to each client. Some services listed on their website are lawn maintenance, spring and fall clean up, tree trimming, small tree removal, and landscaping services. Shoreline Yardworks Landscaping - Shoreline Yardworks Landscaping is a lawn care company that has a team of professional landscapers and lawn care technicians. They are a part of the Ohio Landscape association, an organization that promotes and encourages professional lawn care. They provide service to areas across Northeast, Ohio and have recently added more services and treatment to better serve their customers. A few of the lawn care services offered are soil testing and diagnosis, lawn mowing, fertilization, and aeration. Professional landscaping services provided are mulching, designing, tree pruning, plant and tree treatments, and more. Shoreline Yardworks Landscaping is one of the better lawn care companies in Bay Village to hire for your gardening needs, whether it be residential or commercial property. Yards Done Right - Yards Done Right is a family owned lawn care business located in Westlake, Ohio that serves Bay Village. This company, opened in 2011, is formed around improving the quality of soil, that will then make everything else healthier and look better. They offer fertilization, aeration, top dressing, and tree and shrub care. Yards Done Right customizes and tailors treatments for every lawn to make sure your soil is treated right. The owner Jim has been in the lawn business since he was 14, and attained a degree from the Ohio State University in horticulture in 1985. He has owned multiple lawn care companies in Bay Village in his life, and now him and his wife judy own Yards Done Right with their combined expertise and passion in lawn care. M.V.P Snow n’ Lawn - M.V.P Snow n’ Lawn is another business located in the area that competes with lawn care companies in Bay Village. 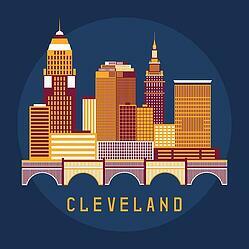 Located in Rocky River, but happily serves Bay Village and other areas in Northeast Ohio. Offering services to commercial and residential areas, M.V.P Snow n’ Lawn works all year round with snow and lawn maintenance, lawn care includes lawn installation, fertilization, spring and fall clean up, irrigation services, and more. M.V.P is apart of the Ohio Landscape Association as well, and accredited by the Better Business Bureau. They give free estimates for lawn care and landscape services, making sure that you know they genuinely care about you and your lawn. Weed Pro Lawn Care - Not to brag, but Weed Pro is one of the best lawn care companies in Bay Village. With over 2 decades of serving Northeast Ohio lawns, we know how to treat your lawn right. Weed Pro specializes in professional lawn care with certified and licensed lawn technicians that attain continuing education. We have the knowledge to service your lawn correctly. We come highly recommended by the Better Business Bureau with an A+ rating. Our professional treatments and services include lawn aeration, weed control, seeding, pest and insect control, tree and shrub maintenance, and more. It is our pleasure to provide service to commercial and business properties along with our residential services. Did I mention we offer free weed touch ups? Our customer service is unparalleled by the competitors, free weed touch ups is just part of it. The customer service team will always take care of you, call Weed Pro for any issues, and we will resolve the problem as soon as possible. We offer free lawn care estimates to anyone looking to improve their lawn quality, physically and visually. Our professional landscapers will make your front yard healthy and beautiful. At Weed Pro, we treat your backyard like our own because we love Cleveland lawns!